Justin Pugh is a graduate from the Keiser University Lakeland Campus and earned his Associate of Science degree in Graphic Arts and Design in 2012. He then went on and earned his Bachelor of Science degree in Interdisciplinary Studies with a concentration in Marketing in 2014. 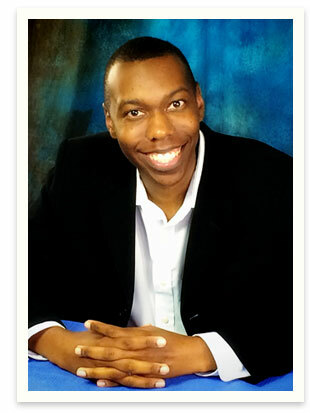 He is currently employed at United Way of Central Florida as a Marketing Coordinator. Justin frequently comes to the Lakeland campus to serve as a guest speaker. Please tell us about your situation when your first came to Keiser University. When I first came to Keiser, I wanted to be a video game designer. When I went to the Lakeland Keiser orientation, they stated that they didn’t have the degree in video game design at this particular campus, but there was a graphic design degree where I could learn the design and transition into video games in my future. I took on the challenge to become a graphic designer and I’m glad that I did. The two instructors that will have impacted my life are Mr. Williams and Mrs. Percy. Both of them believed in my ability to become a great graphic designer, regardless of how I felt about my skills. I appreciate their motivation to get me to where I am today. Please tell us about any instances you may have experienced where a Keiser University staff member helped you to succeed or overcome an obstacle. When I needed help with accounting, Mr. Jerus was there for me. He really took the time to make sure that I understood accounting and was able to complete the steps on my own. He made accounting easier for me. How has Keiser University helped change your life? What is new in your life that would not be there if it were not for your educational experience at Keiser University? Keiser University really prepares you for the real world as far as interviews, public speaking, dress code, etc. It provides hands-on training with what really happens in companies around the world. Are you working in your field? Tell us about your job or job search process. Yes, I am working in my field. I’m currently working for United Way of Central Florida as a Marketing Coordinator. In this position I am designing posters, flyers, etc as well as marketing for the company via social media. It is a great job and I’m thankful that Mr. Williams considered me for the job. My path was a unique path to get to where I am today, but I wouldn’t change anything.